When buying clothing from high end brands, I usually score them at stocksales, sample sales or at second hand stores. I’ve found a new gem among second hand stores: vrijdagmarkt 6! VrijdagMarkt6 is a second hand store that specializes in high end brands and clothing for men. 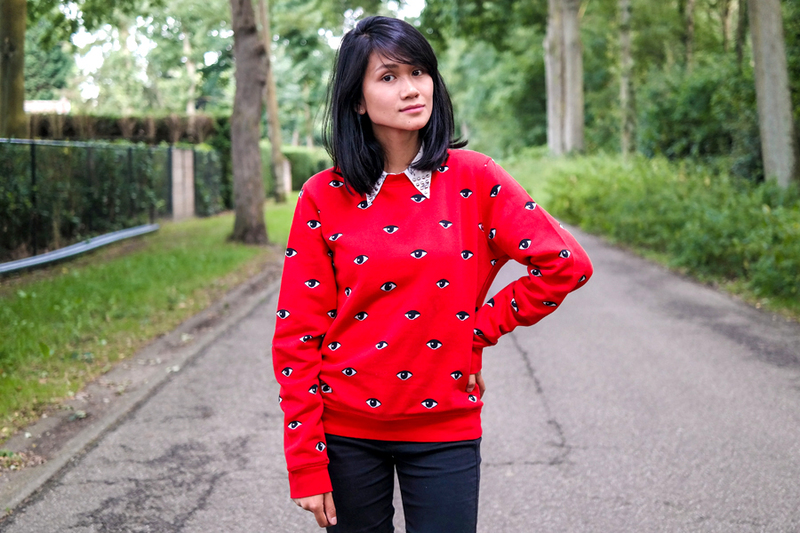 This little store is located in Antwerp at Vrijdagmarkt 6 and it is also where I scored this Kenzo sweater! The best thing about sweaters: it is not gender bound. Since I like wearing oversized clothing, this store is actually up my alley! No fuss about the clothing being for men or being too big. If it gets my heart racing, I’ll buy anything! The first time I’ve walked into the store, I’ve already left with two sweaters. 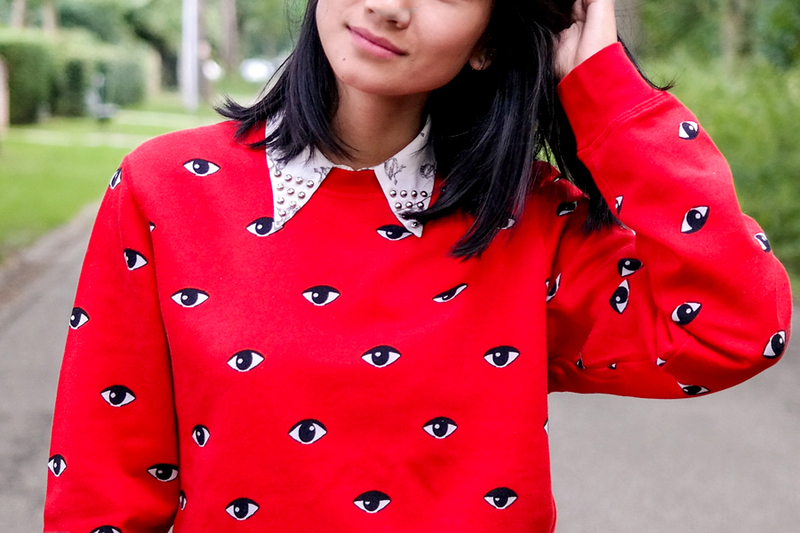 Including this Kenzo sweater featuring its infamous ‘eye’ design! Best of all: it feels new but is way cheaper than a brand new sweater!